Kingston, ON - June 1, 2015 – Queen’s School of Business management science and operations management professor Anton Ovchinnikov was recognized for advancing the study of sustainable operations at the annual Production and Operations Management (POM) society conference. KINGSTON, ON - Despite falling energy prices and a weak Canadian dollar, 2015 promises increased growth and opportunities, advised Queen’s School of Business faculty at the 33rd annual Business Forecast Luncheon held Thursday, December 4, in Kingston, Ontario. Kingston, ON — July 11, 2014 - While being sleep-deprived is almost a badge of honour in today’s hard-driving economy, researchers are now assessing the heavy toll it takes on employees and their organizations. Nov. 21, 2013 – Kingston This year’s recipients of the Queen’s School of Business Research Excellence Awards were lauded at a reception at Goodes Hall on Nov. 14. 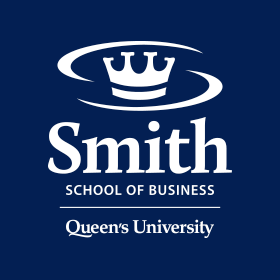 Kingston, ON – June 20, 2013 - Both Shannon Goodspeed and Tom Anger — Executive Directors of the Commerce and QSB Executive Education programs respectively — are moving on from their current roles, but staying within the QSB family.